"Daisy and I had a great time! I looked forward to our class every week. It was a time for just the two of us to bond. Daisy had a great time with Ann, all the other moms, and great dogs. I would recommend every dog lover to share this experience with their puppy." "I was very satisfied with the training my owner received! He still needs work, but is doing his best and walks me most days and works on my training, and I’m training him to be a better dog owner. I think I’ll keep him!" "Ann is an incredible instructor! She is patient, yet pushes you and your dog. I loved the fact that her dog, Tasha, was the class assistant. It helped my dog seeing another dog in class following commands successfully." "This class takes the puppy stage from what can be somewhat frustrating, to enjoyable. I learned to bond and play and love our Maizie because we made our relationship easier by respecting each other. She loves me more because Ann made me a better 'parent'!" "Brody’s Boot Camp gets a 10! Ann is a seasoned professional who cares about her clients. She helped us so much with specific problems and challenges we faced with our new rescue puppy. She saved our lives and we are a happy, functioning family." "This was a great opportunity for Bailey and I to bond and to experience training together. The support and encouragement kept us both motivated. We look forward to continuing the training journey together. Thank you, Ann and classmates, for being patient and understanding." "Ann has a great facility and provides exceptional guidance to the dog's owner in how to be a confident leader to your dog. A wonderful learning experience for all." "Brody’s Boot Camp is an amazing experience for those owners who wish to have a more intimate bond with their dogs. Ann gives you the tools, all you have to do is practice (with patience!) and watch as you and your dog form a closer relationship. The classes were awesome and we can’t thank Ann (and China!) enough for helping us and our dog, Maggie, get closer!" "Bringing Zorro to Brody's Boot Camp was the best thing we have ever done! We learned how to be better dog owners and our bond with Zorro is stronger than ever. We truly enjoyed going every week and working with the other dogs and owners. Thank you, Ann." "Walter and I had a truly "transforming" experience during our six weeks of training at Brody's Boot Camp. Ann's superior interpersonal skills allow her to personalize the lessons for each attendee. She immediately "connects" with your dog and takes the extra time to customize the training to meet your needs for home life and schedules. It didn't take long to realize that our dogs are all trainable… it is we humans who need to take the "lead" and do it! During my training, Ann consistently provided clear instructions, guidance, and the motivation I needed to become a confident "dog Mom". The result… Walter matured from an energetic, disobedient, and out of control puppy to an AKC Canine Good Citizen! Best of all, during the process, Walter and I learned how to have fun together while growing in our bonds of respect and love! Thank you, Ann!!!" "After trying two other training programs, we found Brody's Boot Camp to be by far the most effective and enjoyable! Thank you so much!" "We truly enjoyed Brody's Boot Camp and feel that we now have what it takes to continue training. Our dog, Boone, was almost two when we began and we weren't sure what to expect. After just one class, we could see how easy it was (is) to train him. It just takes time and patience. We now see a new dog in him every day. Thank you, Ann!" "We adopted a dog that came with “issues” and started biting our young children. Ann came and did a one-on-one session that completely turned things around and then we took her 6-week class. It has made a huge difference in our dog’s behavior and the way the whole family interacts with her. I would highly recommend both the 6-week class and a one-on-one basis for “dogs with issues” or any new members of the family." "What an honor it was to work with you in training our most loved companion, Ukon. The knowledge and understanding you provided us has been so rewarding! It is so difficult to read Ukon and one of the biggest benefits we have gained by working with you has been to understand what dogs need and expect from us, by learning about how they think. Understanding the logic behind actions was such a tremendous skill for us. We cannot thank you enough. Your dedication and compassion towards the work you do does not go unnoticed. Thank you. We look forward to working with you soon." "The transformation from week one to week six is astounding! Ann's knowledge, passion, and dedication made our experience at Brody's Boot Camp so worthwhile and enjoyable. Thank you for everything!" "I was a little nervous about bringing my 8 year old dog, Ernie, to Brody's Boot Camp. Like an old man, he was set in his ways! Ann made us feel like Ernie and I could both learn new things. She was very helpful and patient. Thank you, Ann!" “Brody’s Boot Camp was such a great learning experience for both me and my dog"
"I would highly recommend Brody's Boot Camp. Watching my dog and the other K-9 participants learn a new concept each week was fantastic. Ann goes above and beyond to ensure your and your dog's needs are met!" "Abby and I really enjoyed Brody’s Boot Camp. I learned just as much, if not more, than Abby. Training obedience was taught in a very doable, simplistic way that has been very easy to utilize in real life situations. Also, it was so fun and rewarding to see my puppy learn so quickly and easily! Thank you, Ann!" "Roxie and I greatly enjoyed our experience with Ann at Brody’s Boot Camp! She loved learning and playing with her classmates, and we left with a stronger bond. Everyone who knew her before we started classes comments on her calmer demeanor and greater self-control. Thank you, Ann." "I was worried there was no hope for Lucy after attending a class at another place. Lucy has made a transformation and it’s been wonderful for Lucy and I. I never thought I would have control over my dog, and with so much one on one support, it’s been great." "We loved Brody’s Boot Camp! We learned so much and Claire has benefited so much. We take her places all the time and get compliments about how well she is behaved. She is a joy to be around and others can enjoy her as well. Ann is a great, patient teacher with endless knowledge. The training area is super clean and well organized for training. The info packets are full of information you can use for training and other things you need for a healthy, happy dog. The price is very, very reasonable. I would recommend this class to anybody with a dog!" "Ann Marshall, by working with both you and your dog, does a great job teaching you how to properly obedience train your dog for people to enjoy being around. She also provides material to help you care for and understand your dog. Brody's Boot Camp is a great place to train your dog!" "By attending Brody’s Boot Camp, I was able to learn tricks that would help me cater specifically to Ike’s needs, something that I had been struggling with before. Because of this, I was able to effectively train Ike and have seen an improvement in how he responds to people other than myself." "After having gone to several other training classes where the techniques were not working with Chunk, I was happy to find that Ann realizes every dog is unique and was okay with using tools that work for your dog. Chunk is much better behaved and though he still needs work on not jumping and greeting people politely, I am optimistic that we will get there using the tools Ann suggested." 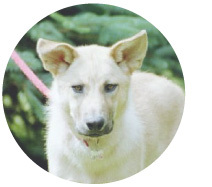 "Ann is an amazing teacher with a lot of patience and a big love for dogs. We learned so much, and River is a different dog than he was six weeks ago! Whether or not you find success at Brody's Boot Camp, you will leave with the knowledge and skills necessary to create an obedient and lovable companion." "Class was serious, but fun. Ann gave lots of individual attention to help each one of us owners figure out how to make things work. She never lost her confidence or sense of humor. And, Lucy agrees!" "Brody's Boot Camp helped me connect with my dog and understand her better. Dolee is a better dog and I'm a better owner. It would be irresponsible not to take this class if you have a dog. Best decision I made."